XR Sleeves are a custom fit cover for the XR Slides. XR Slides are made of a Waxy plastic so do indeed work on wooden and tile floors but for extra protection on expensive surfaces XR Sleeves are the answer! The Sleeves prevent dirt and grit scratching floors while also reducing noise. 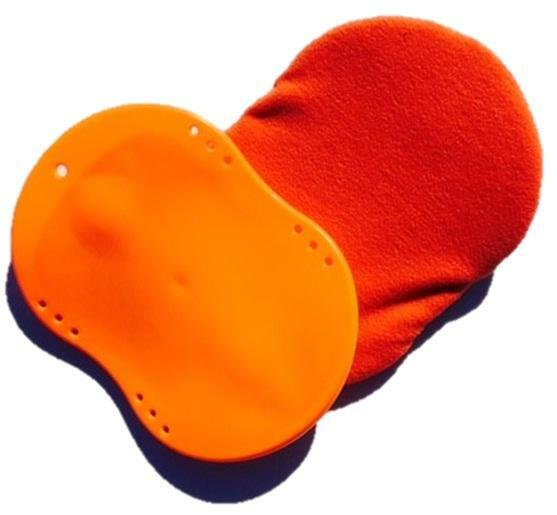 With a sticky inner coating and commercial grade exterior the XR Sleeves are durable and machine washable. Kylie Portelli Duspara – Mother & Fitness Model. My trainer, introduced me to using XR Slide. He hands me these things and I had no idea what they were. Next thing I know, I’m in a full sweat, doing all these slide lunge variations, push ups, and then…the ab workouts…OMG! Now, I take them wherever I might be training, whether indoors or outdoors. I generally mix them into every workout. They are SO good! They are really effective for keeping everything nice and firm. I love them! We have been using XR Slide at our physiotherapy clinic for years now and I find they are a fantastic complement to the pilates work we do in the studio. As they dont take up a lot of space and are not expensive, a lot of our pilates clients have purchased them to do their own core workouts at home. I also use with some of the junior swimmers I treat, as you can work the core in very functional positions, which then carries over well to help them maintain a good streamline position in the water. On a personal level the xrslides have been fantastic rehab for myself after having a baby last year. They are a great time efficient tool whilst providing a hard workout that helped me activate my core more efficiently. I happily recommend xr slides to many of my patients.